Acer has choose to abandon production of mobile phones even as other smartphone brands are charting plans to aggressively expand their businesses in India this coming year. The Taiwanese company is putting its mobile phone business aside to focus on its growing laptops and other hardware businesses in India, it said over the weekend. The move comes as India, the world's fastest growing smartphone market, continues to see new entrants arrive in the country. Acer entered the Indian market in 1999 with its PC line-up and piloted the mobile business six years ago. Amid Chinese companies aggressively arriving and expanding in India in the recent years, Acer refuelled its attention on smartphones last year. 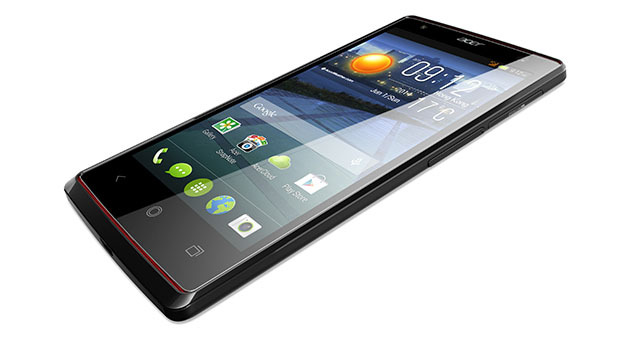 But the company’s push was not enough for Acer’s smartphones to take off in the country, an executive said. According to Acer India’s top executive, changes in several government policies such as Make in India took a toll on its strategies. "The change in government policies of Make in India and other aspects, our realisation has been that it is too much of a market which is left to the smaller brands rather than any larger brands trying to enter it at this particular stage," Harish Kohli, Managing Director, Acer India said. “Today, mobiles have become a commodity from a price-point basis, rather than an experience basis. There are very few products based on experience. When you are into that kind of a space, it is a decision you need to take, whether to produce a quality product and bleed or just copy others and make a product for a particular price-point,” he added. Acer India’s mobile business failure in India however had many other reasons, too, according to analysts. The company, which is among one of the top computer sellers in India (with as much as 10 percent of the market share), didn't scale the distribution of its smartphones in India, says Tarun Pathak, Senior Analyst at Counterpoint Research. I think Acer may be trying to focus more on the little less competitive PC market compared to the smartphone’s which involves the likes of OnePlus, Xiaomi and the rest which are currently having creating a fantastic impression in the hearts of gadget lovers across the globe. According to online reports, Acer sold roughly 30,000 smartphone units in India this year. In comparison, Xiaomi sold three million smartphones in India between July and September alone. Just imagine that! Nice one for them. Its better that way, they should face PC production alone.